This year’s edition of the Mawkyrwat Ultra to be held on the 27th of October is looking to promote one of Meghalaya’s dying art – the Traditional Khasi Lock. Typically in well-organized marathons or ultra-marathon events, medals are given to each participant who completes the run. These medals are usually made in a factory such as in China and these medals will typically have the event logo and other information. 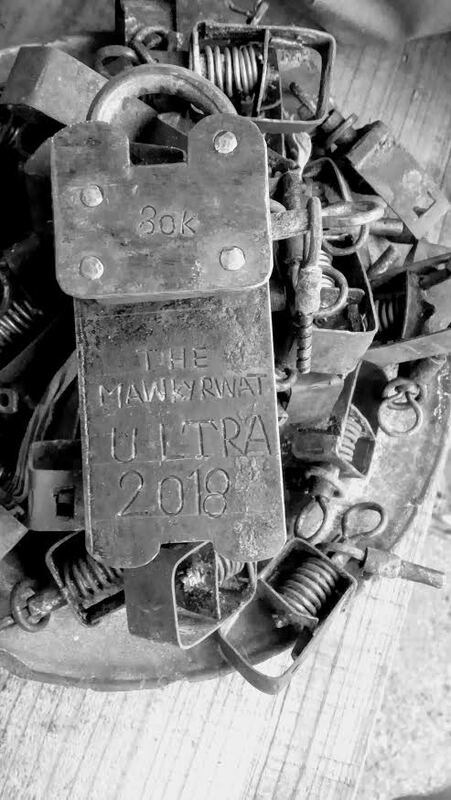 With the vision to also promote Meghalaya’s traditional handicraft, the Mawkyrwat Ultra is looking to award each finisher a very unique handmade medals specially crafted for this event – the Traditional Khasi Lock. Each lock is crafted from recycled metal sheets, umbrella struts, iron rods, which are folded and shaped into their respective sizes. What is unique about this dying craft is that it originated here in Meghalaya and the remaining locksmiths who will be making the finisher medals hail from Laitlyngkot a village on the Shillong – Pynursla highway. The Khasi lock is a very good example of “Upcycling” which is taking recycled materials and crafting them to something else that adds value to the wasted materials. For example, the latch is made from waste iron rods, the spring from old umbrella struts, the lock casing from scrap metal and keys from scrap metal and nails. In today’s markets, goods from China have flooded stores as economies of scale allow Chinese goods including locks to be sold at prices far below similar locally available goods. The demand for hand-made locks has since declined and the art of lock-making is dying with few craftsmen left to keep the skill alive. One such locksmith is Bah Dispi Kharbuli from Laitlyngkot village. Bah Dispi was introduced to the Mawkyrwat Ultra organizing committee by Bah Michael Syiem who has been trying to promote this art for sometime. Bah Dispi says he learnt the skill from his Uncle who had picked up his art from another family so he is a third generation locksmith. It is unknown where or when this craft originated however Bah Dispi estimates that this craft has been around from more than 100 years and has evolved over time with the advent of new tools and designs. Today there are only three families in Laitlyngkot who make these traditional handmade locks. The organizers of Mawkyrwat Ultra felt that it would be beneficial for the local economy to be given the task to produce locks as souvenirs. The MU finishers also would get something unique in being rewarded with something of value, which symbolizes tradition, and history of the place where they have to come to run in.